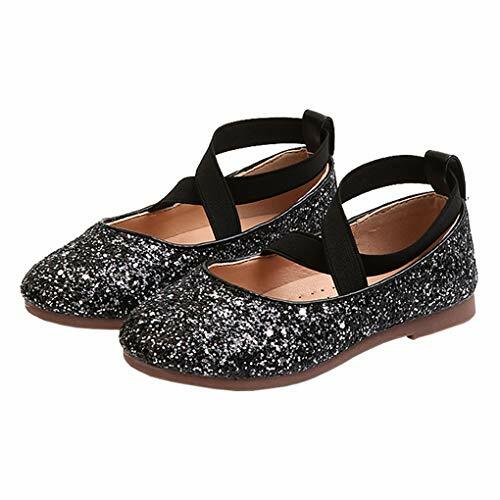 Adorable custom easy to wear Mary Jane Style party shoes. The heal is made from 100% man-made materials. The finish is a high shine leather look. 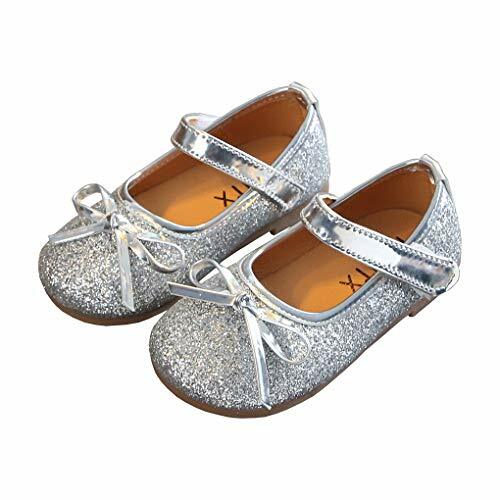 Item Type:Dress Shoes Season: Spring, Autumn,Winter Weight: 100g-150g(approx) Size: 9.5M/10M/10.5M/11.5M/12M US Toddler/Little Kid Note:Please choose the size by Sole Length, the age is just for reference. 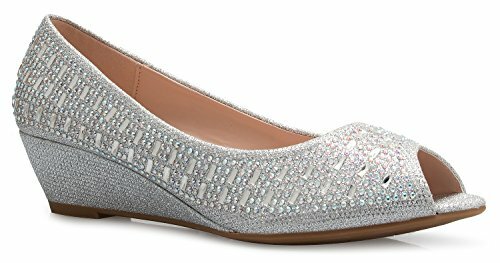 Specifications: Size-----------Sole Length 9.5M------------16cm/6.3" 10M------------16.5cm/6.5" 10.5M------------17cm/6.7" 11.5M------------17.7cm/7.0" 12M------------18.3cm/7.2" Note: Please measure your baby's foot length to choose the right size for your baby because of the different measurement methods, there may be 1-2cm error. Thanks for your understand. 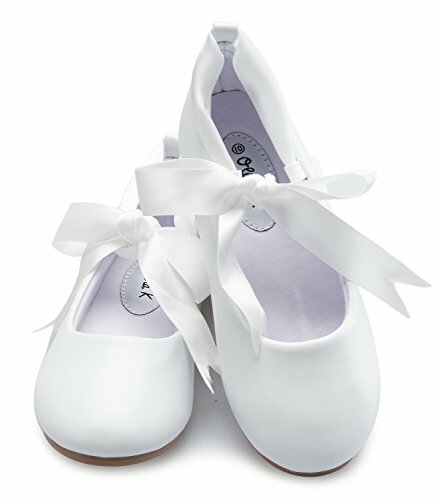 Item Type:Ballet FlatsSeason: Spring, Autumn,Winter Weight: 150g-200g(approx) Size: 9.5M/10M/11M/12M/12.5M US Toddler / Little Kid Note:Please choose the size by Sole Length, the age is just for reference.Specifications: Size-----------Sole Length 9.5M------------16cm/6.3" 10M------------16.5cm/6.5" 11M------------17.3cm/6.81" 12M------------18cm/7.1" 12.5M------------18.8cm/7.4" Note: Please measure your baby's foot length to choose the right size for your baby because of the different measurement methods, there may be 1-2cm error. Thanks for your understand. 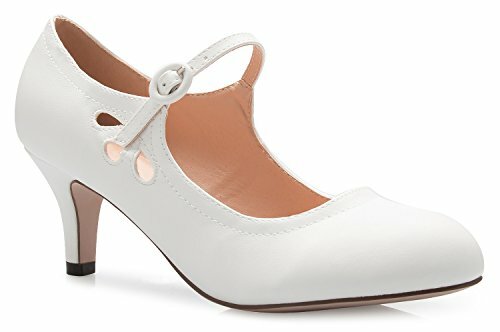 These adorable vintage mary jane pumps have a sleek vegan leather upper and a heel to add a touch of height and style to your everyday look. A must-have in every womens closet! About the size: You can measure your foot by centimeters. The one thing you need attention is the length in the picture is the foot length. 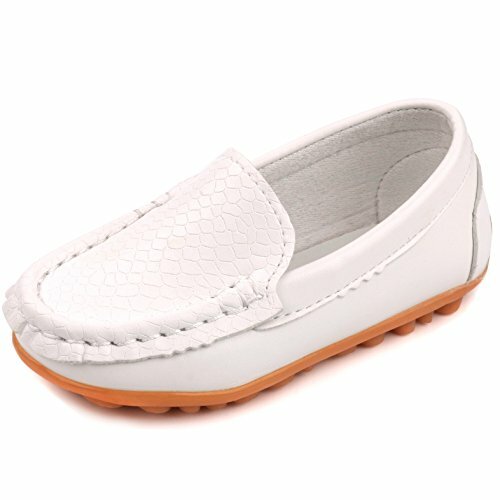 The length of the shoes will longer than the foot because there are the space left for the pleather material. About the return: If you have any problem about the shoes you can contact us. We will reply you when we see your message as soon as possible. If you want to return the shoes, you can return them to our warehouse in the USA. We will return the money to you when we receive them. About the shipping: Usually we need 2-4 business days to prepare the shoes, the shipping date is about 7-10 business days. If you want to get the shoes more faster you can contact us to change more faster way such as DHA&UPS. The DHL shipping date is about 2-4 business days, the UPS is about 2-4 days. Both the DHL and UPS need extra money. 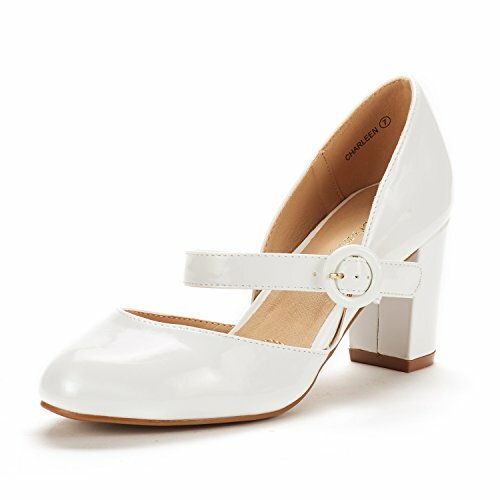 These classic open toe wedges have a sleek vegan patent upper and a heel to add a touch of height and style to your everyday look. A must-have in every girl's closet! Getting ready for a Goth or Halloween wedding? We’ve got a bunch of cool ideas for you! Today we’ll look at shoes to wear on such an important day. Halloween wedding is a very daring idea, so don’t be shy choosing your shoes – go for black, crimson, burgundy, emerald, purple. Black shoes are the most popular ones but give them a twist decorating the outsole – some skulls, witches, zombies, eyes and so on. Easy How To tutorial on Glitter High Heels.